“Leica Photography” Is Dead. Leica Killed It. Looking at them I’m reminded that a definition of photographic “quality” is meaningless unless we can define what make photographs evocative. In the digital age, with an enormous emphasis on detail and precision, most people use resolution as their only standard. Bewitched by technology, digital photographers have fetishized sharpness and detail. Before digital, a photographer would choose a film format and film that fit the constraints of necessity. Photographers used Leica rangefinders because they were small, and light and offered a full system of lenses and accessories. Leitz optics were no better than its competitor Zeiss, and often not as good as the upstart Nikkor optics discovered by photojournalists during the Korean War. The old 50/2 Leitz Summars and Summitars were markedly inferior to the Zeiss Jena 50/1.5 or the 50/2 Nikkor. The 85/2 and 105/2.5 Nikkors were much better than the 90/2 first version Summicron; the Leitz 50/1.5 Summarit, a coated version of the prewar Xenon, was less sharp than the Nikkor 50/1.4 and the Nikkor’s design predecessor the Zeiss 50/1.5. The W-Nikkor 3.5cm 1.8 blew the 35mm Leitz offerings out of the water, and the LTM version remains, 60 years later, one of the best 35mm lenses ever made for a Leica. But the point is this: back when HCB and Robert Frank carried a Leica rangefinder, nobody much cared if a 35mm negative was grainy or tack sharp. If it was good enough it made the cover of Life or Look Magazine. The average newspaper photo, rarely larger than 4×5, was printed by letterpress using a relatively coarse halftone screen on pulp paper, certainly not a situation requiring a super sharp lens. As for prints, HCB left the developing and printing to others, masters like my friend and mentor Georges Fèvre of PICTO/Paris, who could magically turn a mediocre negative into a stunning print in the darkroom. 50’s era films were grainy, another reason not to shoot a small negative. Enthusiasts used a 6×6 TLR if they needed 11×14 or larger prints. For a commercial product shot for a magazine spread the choice might be 6×6, 6×7, or 6×9. Many didn’t shoot less than 4×5. If you wanted as much detail as possible, then you would shoot sheet film: 4×5, 5×7 or 8×10. What made the ‘Leica mystique’, the reason why people like Jacques Lartigue, Robert Capa, HCB, Josef Koudelka, Robert Frank and Andre Kertesz used a Leica, was because it was the smallest, lightest, best built and most functional 35mm camera system then available. It wasn’t about the lenses. Many, including Robert Frank, used Zeiss, Nikkor or Canon lenses on their Leicas. It was only in the 1990’s, with the ownership change from the Leitz family to Leica GmbH, that Leica reinvented itself as a premier optical manufacturer. The traditional rangefinder business came along for the ride, but Leica technology became focused on optical design. Today, by all accounts, Leica makes the finest photographic optics in the world, with prices to match. Which leads me to note the confused and contradictory soap boxes current digital Leicaphiles too often find themselves standing on. Invariably, they drone on about the uncompromising standards of the optics, while simultaneously dumbing down their files post-production to give the look of a vintage Summarit and Tri-X pushed to 1600 iso. Leica themselves seem to have fallen for the confusion as well. They’ve marketed the MM (Monochrom) as an unsurpassed tool to produce the subtle tonal gradations of the best B&W, but then bundle it with Silver Efex Pro software to encourage users to recreate the grainy, contrasty look of 35mm Tri-X. The current Leica – Leica GmbH – seems content to trade on Leica’s heritage while having turned its back on what made Leica famous: simplicity and ease of use. Instead, they now cynically produce and market status. 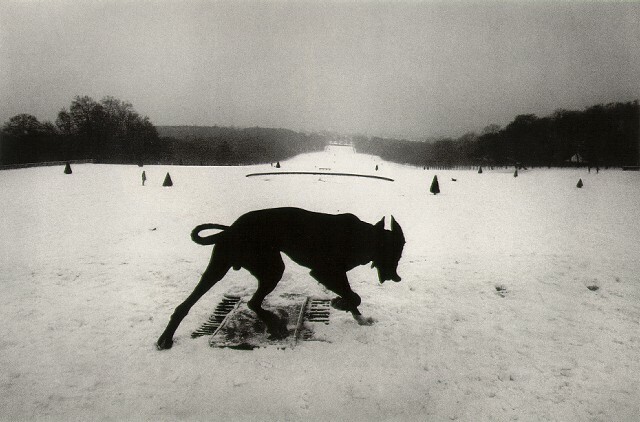 For the greats who made Leica’s name – HCB, Robert Frank, Josef Koudelka – it had nothing to do with status. It was all about an eye, and a camera discreet enough to service it. They were there, with a camera that allowed them access, and they had the vision to take that shot, at that time, and to subsequently find it in a contact sheet. That was “Leica Photography.” It wasn’t about sharpness or resolution, or aspherical elements, or creamy bokeh or chromatic aberation or back focus or all the other nonsense we feel necessary to value when we fail to acknowledge the poverty of our vision. 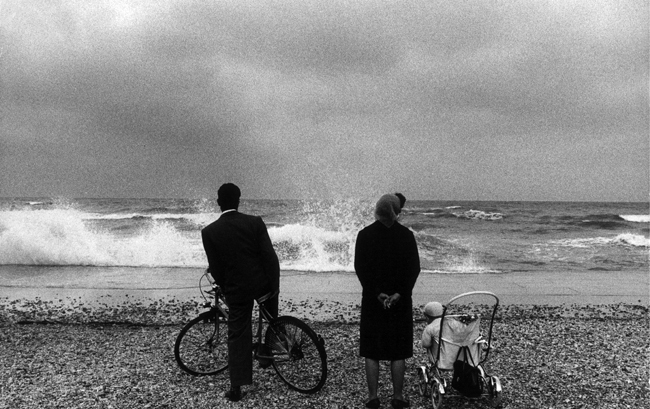 This entry was posted in Documentary Photography, Famous Leica Users, Leica, Leica Photographers, Leica Rangefinder, Uncategorized and tagged josef koudelka, leica, Leica IIIf, Leica M, Leica M3, Leica M5, Leica M6 TTL, Leica MP, Leica Rangefinder on March 11, 2014 by Leicaphila. In 1971, Leica introduced its successor to the M4, the Leica M5. In development since 1966, the M5 represented a tour de force of then current rangefinder technology – it was the first metered M camera and the first 35mm rangefinder to combine interchangeable lenses with a through the lens (“TTL”) metering system. Among its other design innovations, its viewfinder incorporated a coupled light meter and shutter speed data in the viewfinder itself, it relocated the ungainly rewind crank of the M4 to the left end of the base-plate, its shutter speed dial overhung the front of the camera so you could set shutter speed while keeping you eye to the viewfinder, and it located the carry-strap lugs both at the left end of the camera so that the camera would hang vertically rather than horizontally when worn. It was also the first M camera to use black chromium for the finish of its black versions (much more durable than the black enamel previously used). It’s semi-spot meter utilized a 8mm diameter double cadmium sulfide resistor located on a carrier arm centered 8mm in front of the film plane. When pressing the shutter release, the carrier arm swung down parallel to the shutter curtain and hid in a recess below the shutter itself. It remains, to this day, the most accurate meter ever put into a Leica M film camera. The M5 viewfinder used the same 68.5 base length and .72 magnification as the M4 with the added feature of viewing the shutter speed and match needle metering. 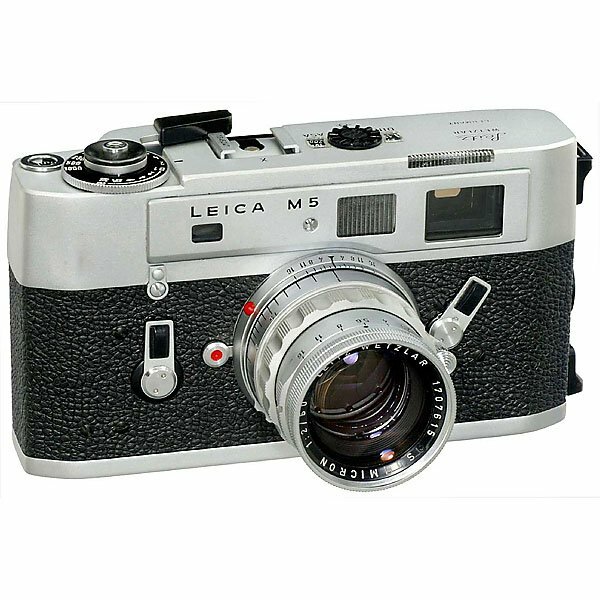 So, why is the M5 commonly considered a “failure,” the camera that almost bankrupted Leica? Anecdotal testimonies claim that M5’s sat on dealers’ shelves for years after production stopped in 1974 after only 4 years. I purchased my first Leica, an M5, new in 1976, 2 years after its date of manufacture. I remember a steep discount to the official retail price. The answer, I would claim, is not so much its aesthetics or its size (the two most common explanations for its demise) but rather a confluence of factors, both internal and external to Leica, a confluence that would have doomed the M5 in whatever guise Leica chose to go forward with its M series. The first reason is simply the tenor of the times photographically. By 1971, rangefinder technology was seen by both professional and amateur as an antiquated throw-back with numerous disadvantages. Professionals had increasingly embraced the Nikon F system and its excellent but affordable optics, and amateurs had followed the lead and made SLR’s dominant in the 35mm market. Even Leica had bowed to the future, although reluctantly. At the beginning of the 1960s, Leitz continued to believe in the inherent advantages of the rangefinder over the SLR, but found it necessary for their continued relevance to produce and market their own SLR system, the Leicaflex. The second reason, and I think the most apt, is Leica’s decision to produce the bargain priced Leica CL system in conjunction with the M5. Leica sold 65,000 CL’s between 1971 and 1974, mostly to the amateur market, at the same time it was marketing the M5 to professionals. As such, the CL cannibalized a large portion of the market the previously addressed solely by the M series. The production numbers point to this conclusion: Leitz sold approximately 57,000 rangefinder cameras in the initial 4.5 years of the M4’s production (1966-1971) and 92,000 rangefinder cameras in the 4 years of the M5’s production. The CL accounted for more than 2/3rds of those sales, driven mainly by a price 1/5th of the M5. The truth of the ex post facto justifications for the modest sales of the M5 (i.e. it didn’t look like a traditional M) is belied by the obvious fact that the CL didn’t look like the previous M’s either and yet it sold briskly. It was only with the appearance of Japanese Leica collectors in the 1990’s that demand and prices for the M5 rose to levels of other M’s. Unfortunately, the M5 has continued to labor under the stigma be being a “failure.” If you’ve ever used an M5, you’ll know its a wonderful camera, the last of the true Wetzler M’s built without compromise. I even think its a beautiful camera, especially the chrome version. Whatever you think of its aesthetics, it certainly doesn’t deserve the lingering stigma attached to it. This entry was posted in Cameras and tagged leica, Leica M, Leica M4, Leica M5, Leica M6 TTL, Leica Rangefinder on August 12, 2013 by Leicaphila.